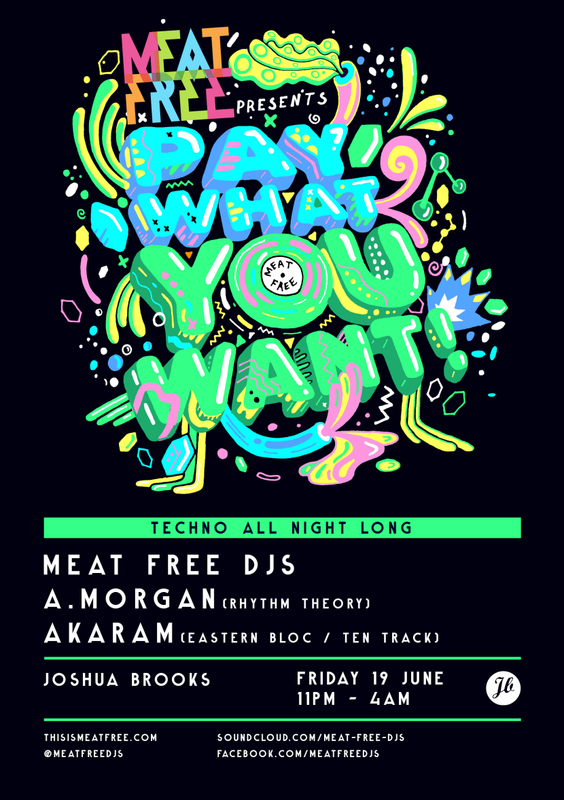 Meat Free Pay What You Want TECHNO SPECIAL coming thruuuuu! Expect all the merriment, good tunes and general madness that comes with a PWYW from Meat Free, plus some awesome guests spinning for us. 4) Enjoy technotechnotechno through the VOID Soundystem! Share the love on the Facebook event, and don’t forget to grab a FREE reservation ticket, as this will guarantee your entry at Joshua Brooks (as long as you arrive before midnight). ….Now to the guest DJs of the night!! is amongst the new crop of exciting talent emerging out of Manchester, having recently signed to Abstract Division’s Dynamic Reflection, and Lex Gorrie’s Unknown Territory. His melody driven, powerful and hypnotic style is one for the dance-floor. As well as his productions, he is the curator of Manchester’s newest techno offering Rhythm Theory, which has brought the likes of Slam, Jonas Kopp and Norman Nodge to the city. well, we think this speaks for itself really!